Carol does the initial intake assessment for every client. The fee includes: initial testing session (approximately 50 minutes), the scoring and evaluation of the results, the planning conference with the most appropriate tutor, and a parent meeting with the tutor to discuss the results and tentative plan. This testing is necessary because it allows us to precisely focus our instruction. Carol will ask to see samples of a student’s written work, spelling tests, and records of any testing that has been done previously. 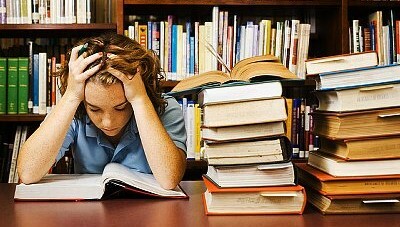 She will also give a few informal assessments so she and the tutor can design an effective remediation plan. After a review of the student’s work, Carol administers several professional assessments (including a major norm-referenced assessment which is geared for assessing phonological processing, one of a dyslexic’s main areas of weakness). Then she prepares a report with simple charts outlining the results. Finally, she meets with you at your convenience to explain her findings, make suggestions, and discuss recommended strategies for the future. This option requires meeting with the student for an hour-long session on two different days to administer the assessments. The fee covers all expenses, including: travel to your location, the assessment sessions, the scoring and evaluating of the data, preparing the report, and the parent conference. — BEST VALUE! After a complete review of the student’s work, records, and testing, Carol administers at least 9 professional assessments. Then she writes a formal 10-12 page report outlining her findings, suggestions, and recommended strategies for the future. There is at least a two-week wait time between student testing and the parent conference. PLEASE NOTE that we do NOT provide a legal document for use in court, or to prove that your child qualifies for special considerations at public school. If you are seeking professional advice for legal purposes, we recommend you hire a neuropsychologist or certified dyslexia testing specialist. Rainbow Readers has not been able to meet the increased demand for tutoring dyslexic people, so several tutors have now joined us to provide the same excellent care for our students of all ages. All our tutors are experienced teachers and have been personally trained in the Barton Reading and Spelling System. Carol will be providing most of the initial assessment and supervision for all of Rainbow Readers’ clients, as well as giving support and direction when needed. Because of her broad training in dyslexia and more than 30 years of teaching experience, Carol has the ability to give insightful help that goes beyond what most tutors are able to provide. Summer Special – We are looking for new clients because several of our students have “graduated.” Carol has reduced her fee from $70 to $65 per hour for any session scheduled before Labor Day. Our before- and after-school tutoring times are at a premium. If we can schedule tutoring sessions during the day between the hours of 10-1:30, we will offer a $5/hour discount off of the normal fee we would have charged for that service. If your home is within 10 miles of your tutor’s starting address, there is no extra charge. If your home is more than 10 miles from your tutor’s starting address, a fee will be charged to cover transportation costs and extra travel time. When there is a need, Carol loves to teach prevention / early intervention groups for young children using games, songs, and large body movement to help children learn foundational reading skills. We are available to work with students on location during the school day with a parent request and school permission. The group fee may be divided among participants, with a minimal extra charge per person to cover the cost of materials. These sessions work well for parent groups as well as teacher inservices. Using data to guide instruction — the very next day! Little things teachers can do that make a BIG difference for dyslexic students! Occasionally, extra materials may be needed. You may purchase the recommended materials on your own, or we will provide them and you can reimburse us at our cost.